Chicago youth say: ‘No more racial profiling’ | Fight Back! 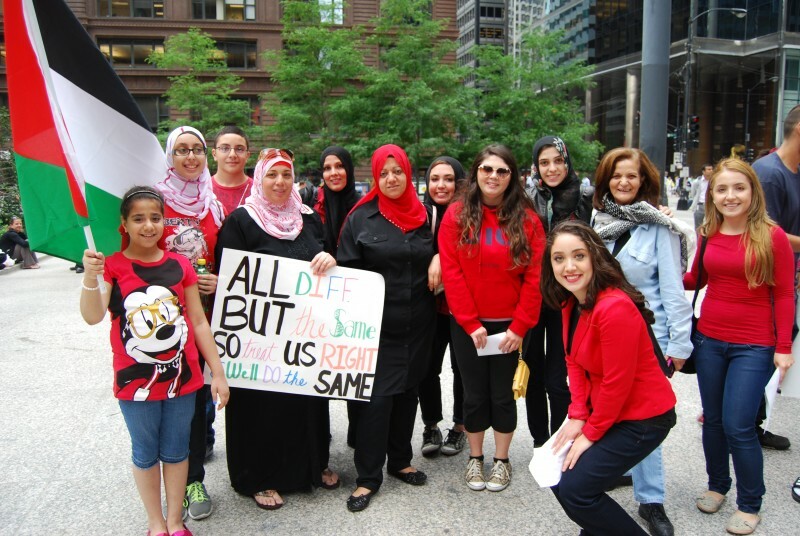 (Fight Back!News/Staff) Arab American Action Network (AAAN) protests racial profiling. 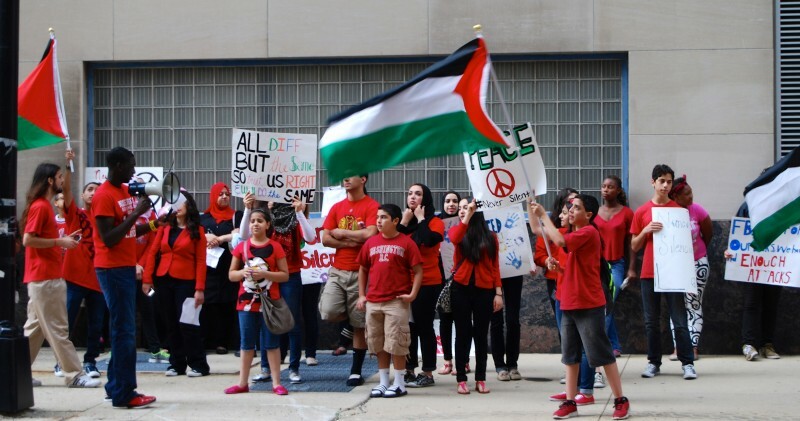 Chicago, IL - 60 youth from the Arab American Action Network (AAAN), along with their supporters, held a rally and march here, Aug.15, to demand an end to racial profiling of Arabs and Muslims and and end to the criminalization of all communities of color. The youth who organized and led the protest reminded onlookers that harassment, surveillance and infiltration by the FBI and its local counterparts doesn't just happen in New York City and California, but is widespread in Chicago. The key demands were: stop bullying and harassment of communities of color; end racist criminalization of Arabs, Muslims and all people of color; end the envestigation of the Midwest 23; and close National Security Loopholes in the federal ban on racial profiling. After an early afternoon rally at Federal Plaza, the protesters chanted, "Out of our schools, out of our mosque! FBI go get lost!" while marching to the Chicago headquarters of Immigration and Customs Enforcement (ICE) to protest another key part of the Department of Homeland Security's program of criminalizing Mexicans, Central Americans, Latinos in general, Arabs and Muslims, as well as other immigrants of color. There, Lulu Martinez of the Dream 9, who ‘self deported’ to Mexico but recently returned, talked about her experiences and the federal policies of detentions and deportations that have devastated her community for years.